Drop It! is the new exciting EP from Barcelona based Pablo Bolivar, known from his solo material on labels like Avantroots as well as his side-project Pulshar on Desolat. To celebrate this grand EP, we have also re-designed our artwork from upcoming young venezuelan designer Georgina Maldera. 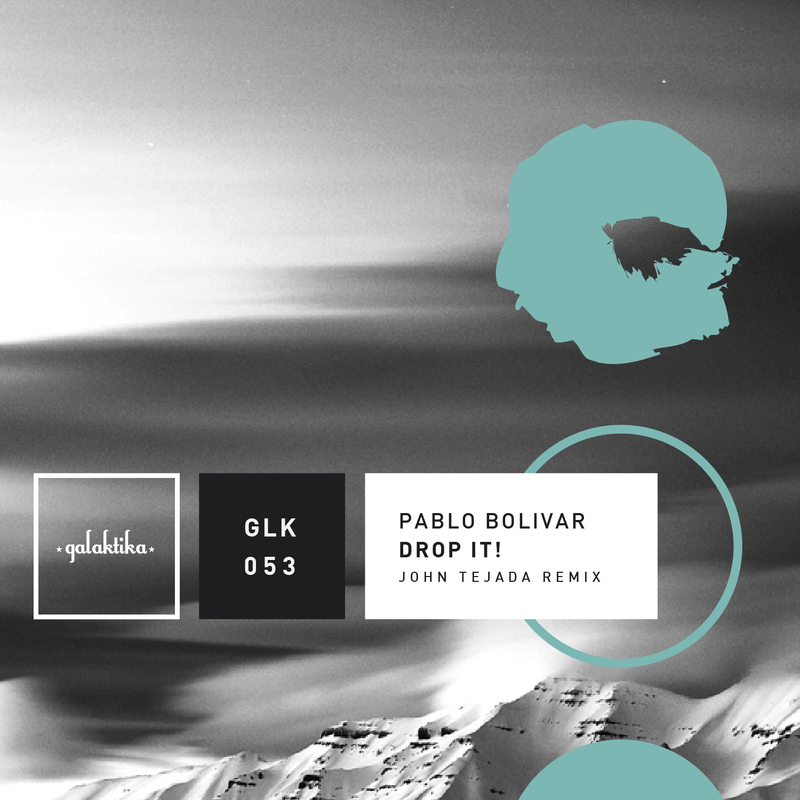 On his new EP for Galaktika Pablo Bolivar delivers a true headnodding experience with Drop It! – Mesmerising chords coupled with the skippy beat programming and neat arrangement makes this a perfect jam for warm up sessions as well as peak hour action. On remix tip we have no other than techno legend John Tejada straight from LA. Mr Tejada takes a tougher drum beat and makes one of his masterly executed reworks with added, dark vocals and a durable acidic groove which will undoubtedly find itｴs place on lots of playlists. Additionally he delivers a 2nd Remix which takes a firm grip on the bass, dropping more dubbed out keys and a darker overall vibe. We can not decide which remix we like more, both are outstanding! To close the EP Bolivar delivers the delicately driving Question Of Time.